Today is the last day of Hanukkah and I am ending it with a dinner of Beef Brisket, roasted vegetables and Sweet Potato Biscuits. The first time I had ever had brisket, was when I was in Florida, about 5 years ago. 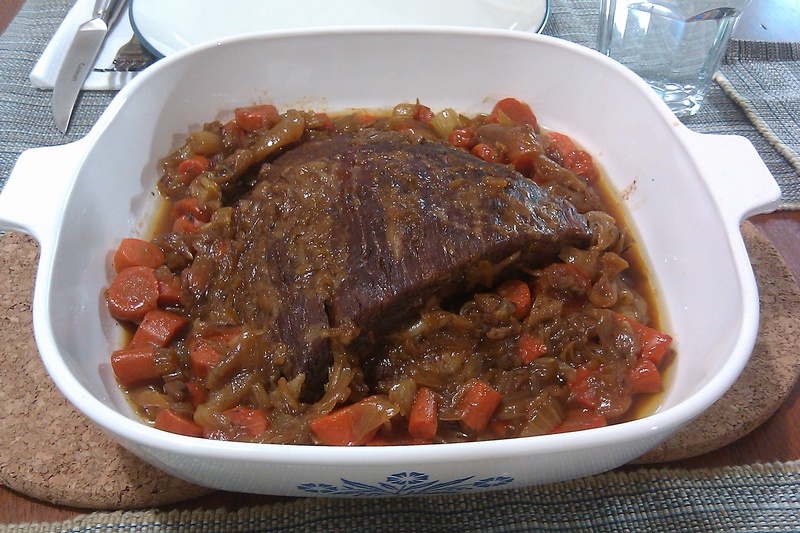 I had visited on of our family, friend’s and she has made this delicious Brisket. It stayed in my mind all these years and I thought, what better way to end Hanukkah with a Feast! I am trying out Crockpot liners today. 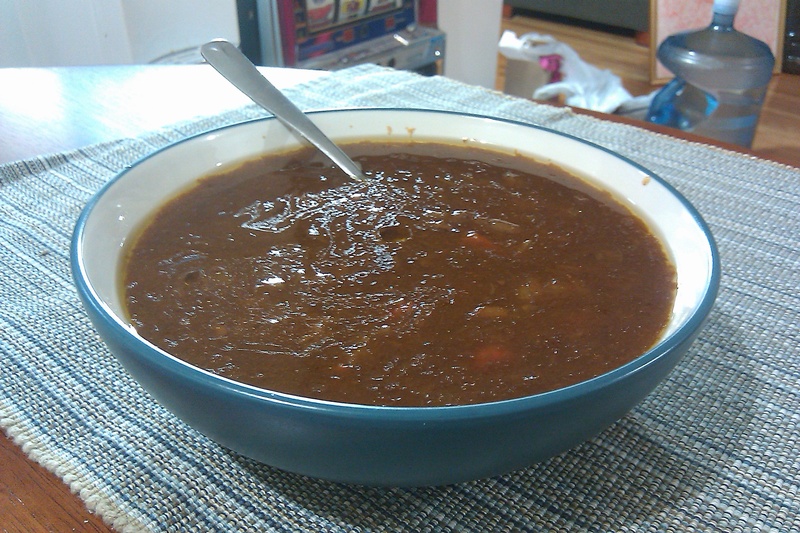 My crockpot is pretty big and it is unwieldy to clean. Hopefully this will help out with the cleaning. 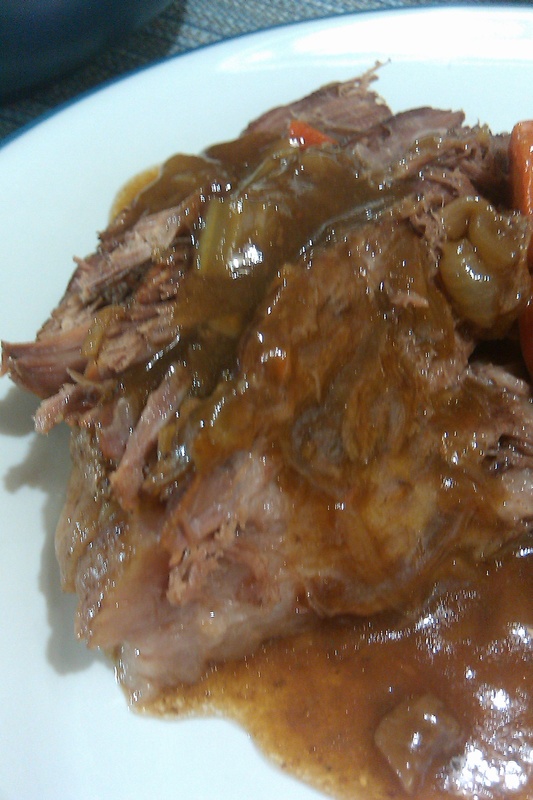 This meat is a pretty tough cut, so slow cooking, is one of the best ways to prepare this dish. Line crockpot with liner (skip, if you aren’t using one) and add the Lipton Soup packets. Add the beef brisket to the pot and coat it with the soup mix. To thicken gravy, remaining in crockpot, keep crockpot on high. In a separate bowl, mix some of the broth from the crockpot, with cornstarch. Add the mixture to the crockpot.